You might own a house that "needs a little love," as the real estate flier put it, but really it needs truckloads of love. Like loving a child, you might be wondering if yours should be the tender love of respecting and working with what's there--or the tough love that comes in the form of a wrecking ball and excavator. On top of that, while some elements' lifespans are staggered, many others expire at roughly the same time. In terms of cost, replacing a dishwasher is nobody's idea of fun. But imagine having to do that in the same calendar year that you replaced your roof, gutters, and central air conditioner. By rebuilding, you reset the clock in terms of the house's physical nature: everything from the appliances to the house's envelope (roofing, siding, etc.). When it comes time to sell 15 years later, you're selling a 15-year-old house instead of one that is 40 years old. As a bonus, you had the pleasure of living in a new house during those 15 years. Buyers are intimately attuned to the age of houses. And if they aren't, their real estate agent and house inspector will make them well aware of this fact. 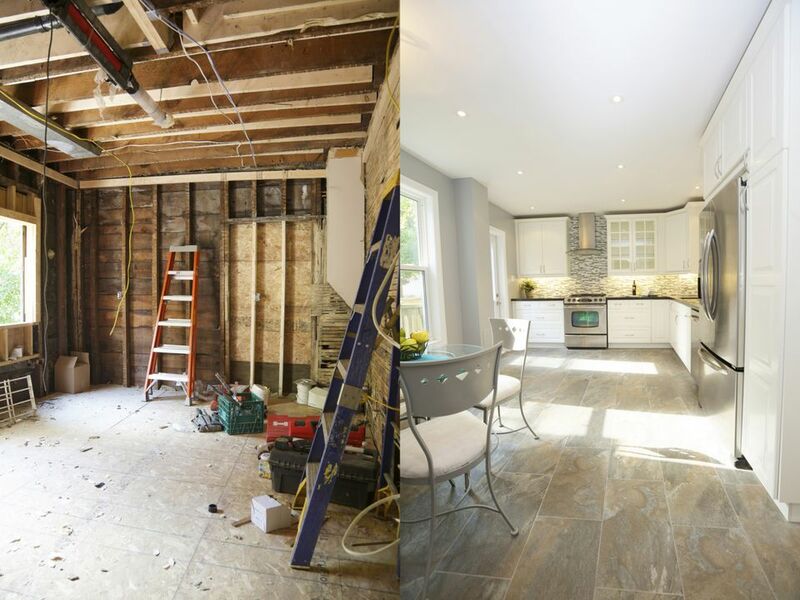 If you're tight on money, remodeling is always the way to go. The issue is scale--your ability to scale your spending up or down (or freeze it), according to your needs. Remodel: When you remodel a home, you have control over your spending. Remodeling is perfect for those who are hesitant or unwilling to make a big leap. You can remodel a small bathroom, then stop when finances are tight. Are you the recipient of a big tax refund? Now it's time to fix that roof. Money tight again? You can scale the roof purchase itself up or down, from a price efficient composite shingle roof to a pricier standing-seam metal roof. Money gets distributed in drips or in gushes, your choice. Tear Down and Rebuild: This option is all or nothing. After your first big purchase--the demolition--you're left with a vacant lot, committing you to build the new home. Unless you want to be the owner of a vacant lot, you must keep moving forward. Worse is to have the house that is partially complete. Structures left exposed to the elements age quickly. At a certain point, your rebuild would have to be rebuilt. "the cost of tearing down and rebuilding will be about 20% higher than engaging in an extensive whole-house remodel. But the architectural benefits of tearing down and working with a clean slate can be huge: Better fundamental architectural design, all new systems, clean circulation, high quality windows, new and efficient heating and cooling systems, tall ceilings, and space designed for your personal living patterns placed where you need it." Are ceilings too low for your liking? Because it's no simple matter to raise a ceiling--unless there is a plenum or empty space up there--the floor above must be removed and then rebuilt. Even Los Angeles, traditionally the most "tear down and rebuild" area in the U.S., has begun to enact building moratoriums designed to limit the size of houses. And because few rebuilds are content to remain within the same footprint as before, they are affected by these bans, as well.